Rite Aid in Williamston is held a grand reopening for its newly remodeled “Wellness Store” with a ribbon cutting this Friday, June 10. The Rite Aid Wellness Store features expanded pharmacy services and an enhanced selection of wellness products. 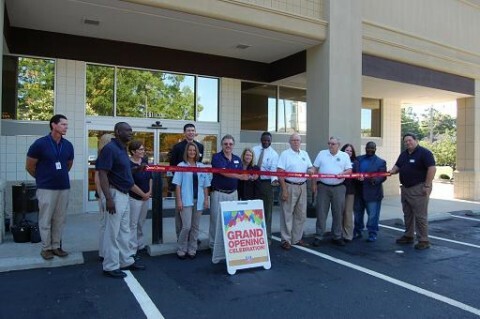 The new store format, which debuted in spring of 2011, is part of Rite Aid’s continued commitment to providing services, products, and resources to help its customers and their families live healthy lives. Wellness Stores also have pharmacists with special training in diabetes care, medication management and the ability to immunize against about a dozen diseases including flu, pneumonia, shingles and whooping cough. There are hundreds of new health and wellness products including organic and/or gluten-free foods, an expanded caregiver section, all-natural personal care and home care products, multiple drive-thru pharmacy lanes, GNC wellness supplement products, fitness and workout equipment and a bigger wellness magazine. The store also features a private pharmacist consultation room for advanced clinical services. The new format features Rite Aid Wellness Ambassadors who will be available to provide interactive product demos on customized iPads. The new customer service position was created solely for the “Wellness Store” format. The Wellness Ambassador serves as a bridge between the front end of the store and the pharmacy. Wellness Ambassadors also serve as a liaison to the community during periodic health events accompanying the Wellness Store format. The store is located at 201 East Main Street in Williamston, SC.